Missouri Botanical Garden has been part of the St. Louis community since 1859 when Henry Shaw opened his garden for the enjoyment of the general public. Over the past 150 years, the Garden has a rich history of programs, activities and initiatives for the betterment of the region. Innovative K–12 science education programs reach scores of local students. Design support for St Louis’ City Garden created an award-winning urban green space. The work of the Garden District Commission is transforming the neighborhoods surrounding the Garden. Garden visitors can learn firsthand about the principles of sustainability demonstrated throughout Garden operations or by participating in our Plastic Pot recycling program. 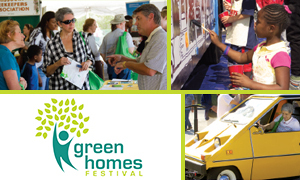 The EarthWays Center’s educational programming, annual Green Homes Festival, and involvement in many community events is actively cultivating sustainability literacy with adults and youth. Through our work with schools, colleges, businesses, local governments and homeowners, the Garden facilitates partnerships, provides technical expertise, and implements changes to advance sustainability within the St. Louis region. The Garden partners with the St. Louis-Jefferson Solid Waste Management District to promote Reducing-Reusing-Recycling- and Composting in all our facilities and around our community. Our local district serves constituents in the City of St. Louis and St. Louis, Jefferson and St. Charles Counties. Since starting up in 1993 as part of a statewide network, the District annually awards grants to non-profits, recycling-related businesses, and local governments to support waste minimization efforts. This funding leverages creation and retention of thousands of jobs and associated regional economic benefits, and yields environmental benefits including energy efficiency, pollution prevention, conservation of water and other resources, and climate change mitigation. Recent successes include widespread adoption of "single stream" recycling collection, and expansion of large-scale composting systems to add food-waste processing to ongoing regional yard waste management. Priority issues being addressed include establishing permanent regional collection facilities for Household Hazardous Waste, and increasing recycling participation overall. 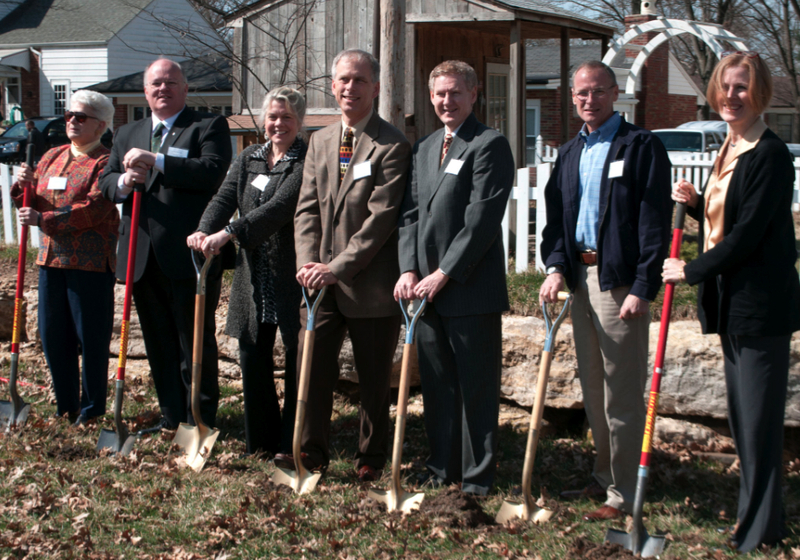 To help achieve cleaner, safer water in the Deer Creek Watershed, the Missouri Botanical Garden facilitated the establishment of the Deer Creek Watershed Alliance, a collaboration of partner agencies, municipalities and citizens. With the goal of showcasing plant-based projects that reduce water pollution, the Deer Creek Watershed Alliance has developed a comprehensive plan for the Deer Creek Watershed and implemented multiple bioretention projects throughout the community. Learn more about this collaboration to improve water quality in the St. Louis area and join their online community on Facebook. Garden President Dr. Peter Wyse Jackson and community dignitaries start construction of a rain garden to help protect Deer Creek water quality. The Sunflower+ Project: StL is one of 4 winners of the St. Louis Sustainable Land Lab Design Competition. The team is lead by Richard Reilly of the Missouri Botanical Garden's EarthWays Center and Don Koster of Washington University's Sam Fox School of Design and Visual Arts. We will alternate the planting of sunflowers and winter wheat in an experiment designed to clean and enrich urban soils on vacant lots. The site work began on May 7, 2013 and will continue for at least 2 years.